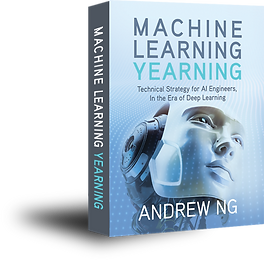 Andrew Ng, Chief Scientist for Baidu Research in Silicon Valley, Stanford University associate professor, chairman and co-founder of Coursera, and machine learning heavyweight, is authoring a new book on machine learning, titled Machine Learning Yearning. This isn't your typical machine learning book, however; it focuses on the skills and strategies needed to implement machine learning systems, as opposed to acting as an overview of various classification algorithms or the current state of the art science. Ng also notes that the book will be "around 100 pages, and contain many easy-to-read 1-2 page chapters." However, not only does the website provide an overview of the book, it states that, if you sign up to the email list by Friday, June 24th, you will gain free access to draft chapters as they are finished. The book itself looks like it may fill a noticeable void in current such offerings, when complete. Given that the offer to freely preview chapters as they are written seems to be limited by time, I would move quickly to visit the book's site and join the list.